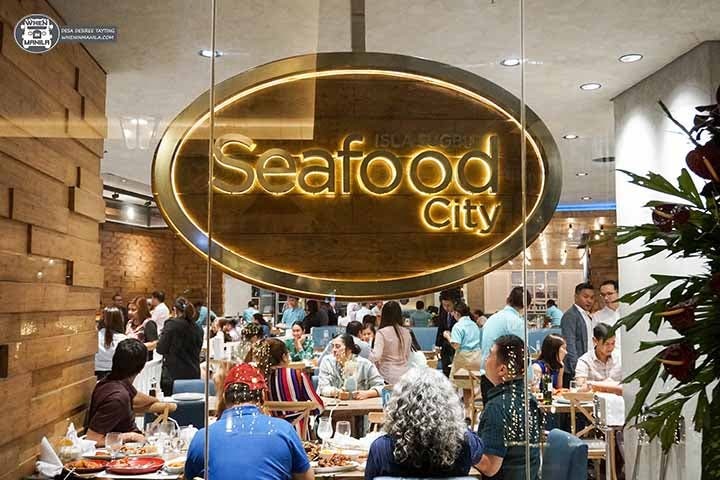 Here’s a reason to celebrate, seafood lovers of Manila: one of Cebu’s most loved seafood restaurants, Isla Sugbu Seafood City, is now in Manila at Venice Grand Canal Mall in Taguig City. The best part? Their unique offering of fresh seafood Paluto-All-You-Can! Ready for the deets? Here we go. Isla Sugbu Seafood City won an award as the Best Seafood Restaurant in Cebu for four consecutive years! The Paluto-All-You-Can process includes four steps: CHOOSE, COOK, EAT, and REPEAT. 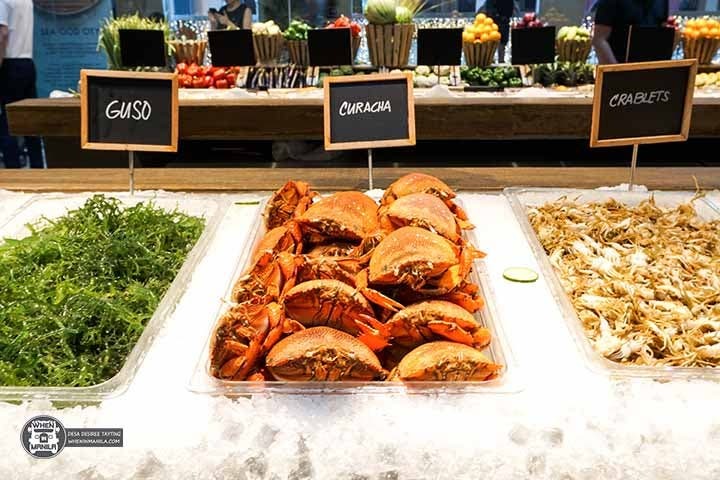 The first step is choosing all the seafood your heart desires from their wide array of fresh and live fish, mollusks, seaweed, crustaceans, and more! They also have chicken and pork belly strips if you have a friend who’s not a fan of seafood. Also, they have a very accommodating crew to help and assist you with your choices. Fresh guso, curacha, and crablets for the win! This is the first section we went to. Go with the whole family! The next step is cooking all the seafood you chose according to your liking. If you’ve got no idea what dish you’d like, they will suggest the best dish to make with your choices. They can serve your seafood grilled, steamed, stewed, fried, and even raw! I chose some oysters and they immediately suggested baking them (with friendly auras and smiles)! 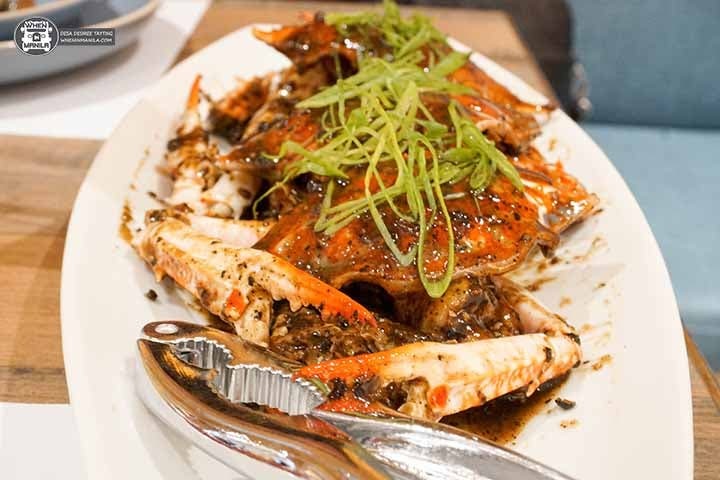 These finger-licking good Black Pepper Crabs wowed us. They sure use quality sauces and spices! We tasted their Steamed Lapu-Lapu and asked for more cups of rice. We bet you will, too! 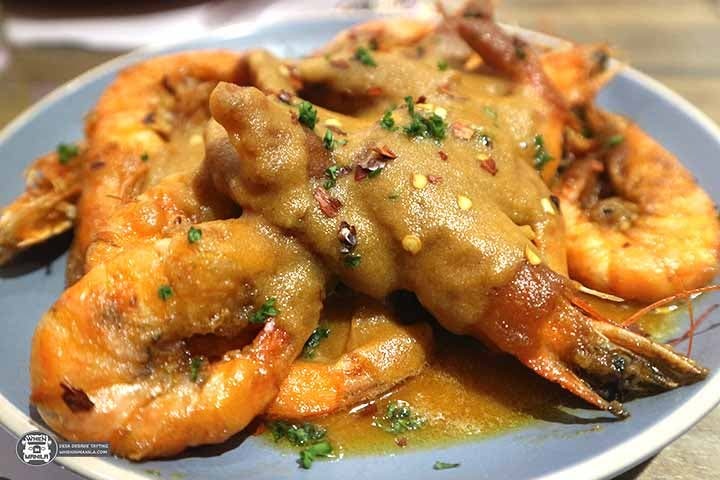 We love their flavorful take of Salted Egg Shrimps – it’s a must-try! These Baked Cheesy Oysters are the bomb! It has moderate saltiness that everyone is sure to love. The last step is basically just repeating the whole process to your heart and stomach’s content. You can go back to the selection area again, choose more seafood, think of any dish you’re craving for, and enjoy it to the fullest. However, they remind everyone that they are strict in not allowing leftovers here! So as much as you may want to try all of the seafood that you see, make sure you finish everything on your plate first. 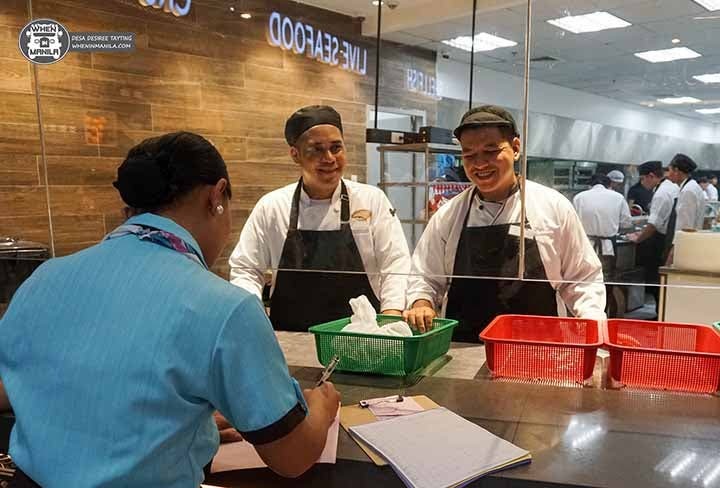 As part of its opening, you can avail of Paluto-All-You-Can at only Php848 per head for lunch on weekdays (Mondays to Thursdays, 11AM to 3PM) and Php888 per head for dinner (Mondays to Thursdays, 6PM to 11PM) and all day on weekends. We heard that after February 2019, they will offer a regular price of Php1,300 per head. Apart from this offering, they have a separate menu of drinks that includes wines priced at Php1200, refreshing fruit juices, shakes, and beers plus desserts such as a huge fruit platter and special halo-halo inside a buko shell. Yum! The rare chance to have live fresh kingfish in Manila! Another thing we love about this seafood experience is the refreshing ambiance and wharf-like interiors giving off cruise ship vibes. Unlike other seafood restaurants; the whole area is clean, dry, and it isn’t stinky. In fact, the only noticeable smell is that of cooking good food. The overall atmosphere and sanitation are also commendable! They assure us all that our tummies are in safe hands because the restaurant implements superb hygiene practices. Their comfort rooms are in pristine condition, as well, and the management promises to keep it that way. Up Dharma Down performed live during the restaurant’s launch. Isla Sugbu Seafood City’s first branch in Manila just opened last November 28, yet they are already planning a second branch. To stay up-to-date with their promos and offerings, check out their website!